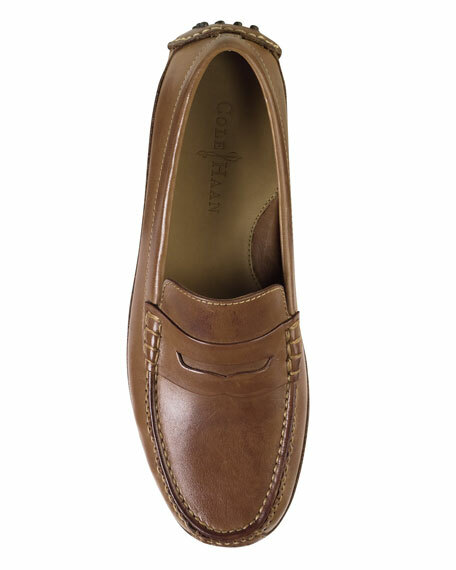 Cole Haan "Grant" penny loafer. Flexible pebbled rubber sole for comfort. 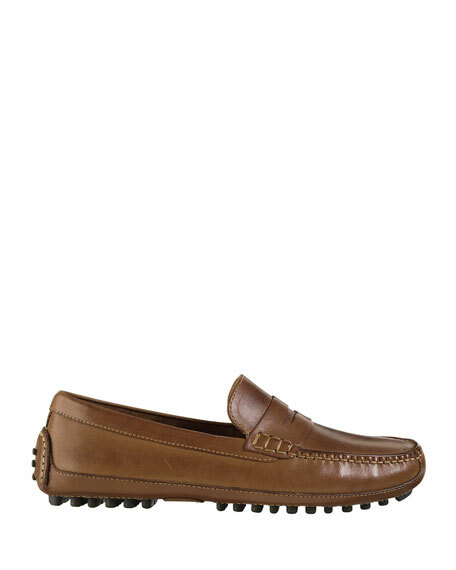 Bally loafer in burnished calf leather. Apron toe. Silvertone bit-strap at vamp. Looped pull with signature Trainspotting stripe at back. 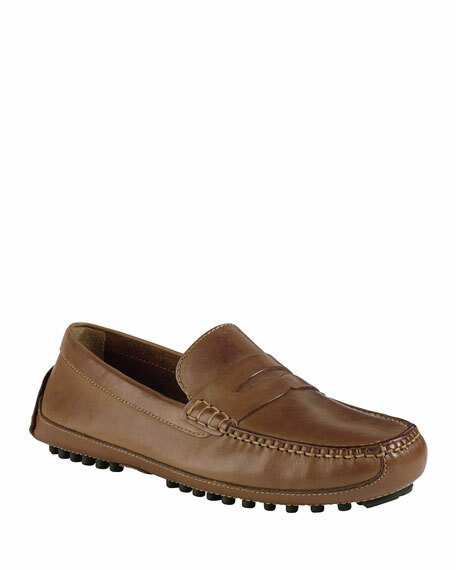 Bally loafer in burnished calf leather. Apron toe. Silvertone bit-strap at vamp. Looped pull with signature Trainspotting stripe at back. Goodyear welt. Leather lining and sole. Slip-on style. "Plintor" is made in Switzerland. 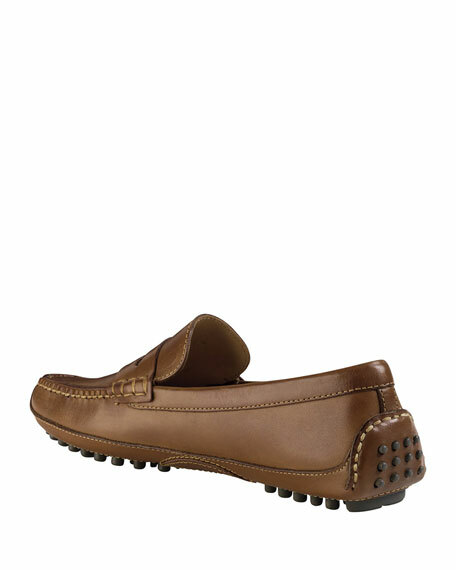 Swims loafer/boat shoe featuring 3D-molded TPU structure with nubuck trim. Antibacterial mesh liner and vamp for ventilation and drainage. Moc toe with tonal topstitching. Braided ties with 360-degree lacing. Non-marking natural rubber outsole. Slip-on style. Imported.